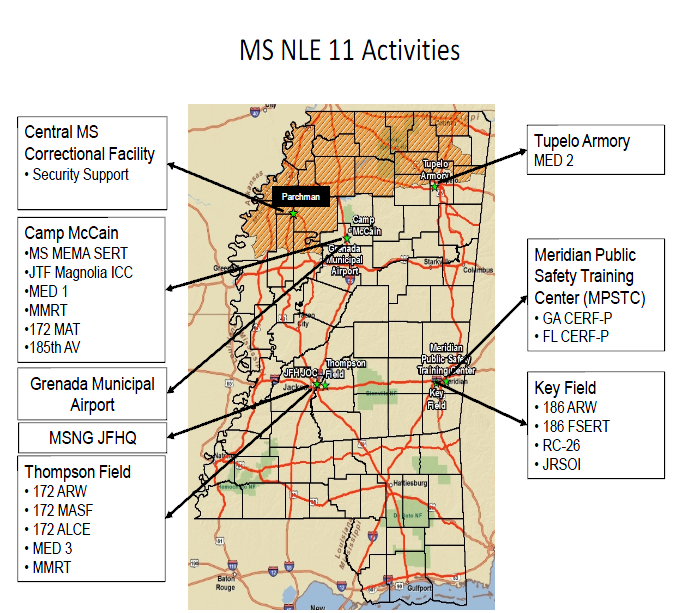 This week FEMA is conducting the 2011 National Level Exercise which will run across multiple states and simulate a major disaster, in this case an earthquake along the New Madrid fault line. There are hundreds of agencies involved and being coordinated nationally. Global Emergency Resources is providing their HC Standard system to run the exercise. HauteSpot is supporting GER with the eWRAP system which will provide live video feeds from locations in Mississippi and Wisconsin. This is also the first field test of the new microNVR which is recording and pushing the video from the remote sites. The video is integrated into the HC Standard application for reporting at the exercise command center. There is a blog dedicated to the exercise which you can monitor the progress of the event. It is published by Tim Manning the Deputy Administrator for Protection and National Preparedness. Tim's job is to coordinate this and other preparedness exercises. We are excited about this opportunity to prove the reliability of our equipment under extreme, real world conditions.